India Association of Los Angeles (IALA), a prominent Indian organization in the San Fernando Valley area, celebrated the 63rd India Republic Day on January 26th at the Venus Banquet Hall, Winnetka, California. An outstanding evening witnessed the different shades of India in form of dances, cuisine, decoration, and songs. A jam packed, banquet hall, was thrilled to see performances of young Indian American artists. The Culture Vice President Simar Gulati and Executive Vice President Vineet Puri, along with other Executive committee members Vinod Manchhani, Sunil Agrawal, Shekhar Chikhalikar, Arvind Gupta put up an excellent show. Kavita Puri was the MC of the program. 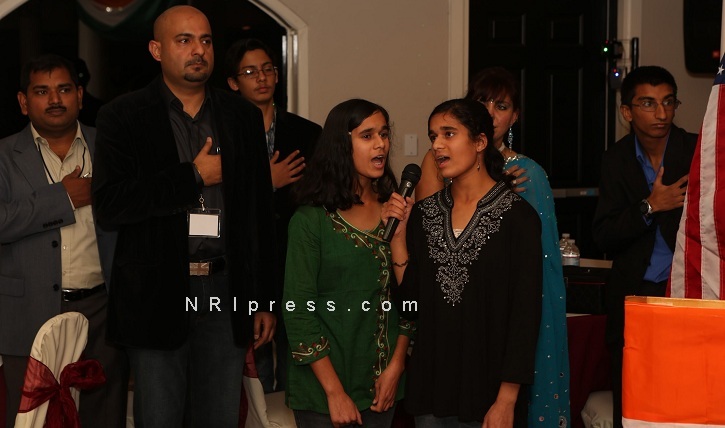 The function began with American National Anthem sang by twin sisters Rama and Ruchi Kelkar. 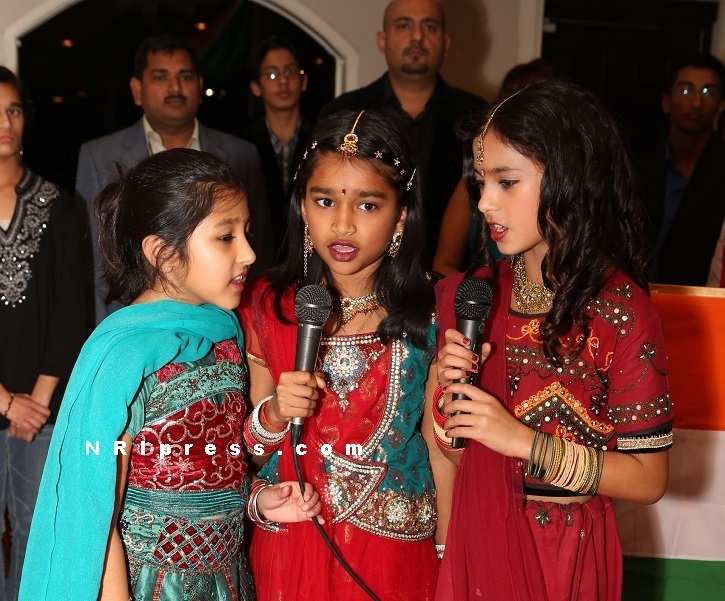 It was followed by Indian national anthem sung by Yashvi Agrawal, Riya Puri, and Sherya Gupta. The newly elected chairman of IALA, Raman Chadha welcomed the guests. The president of IALA Kumar Jawa expressed his gratitude to the audience for coming to the event. An evening graced by so many distinguished dignitaries including LA District Attorney Jackie Lacey, LA Sherriff’s department, LAPD, Deputy Director of Dept of Homeland Security Dr Jannah Scott, Councilman Dennis P. Zine, Councilman Mitch Englander, Representative of Congressman Brad Sherman etc. In a display of cultural bonanza, Nalini Natarajan’s student performed mesmerizing Indian classical dances Bharthanatyam. Energetic and dynamic Bollywood dances were performed by Electro Battle group. During the program, total 14 Raffles were drawn. Raffle proceeding were conducted by Sunil Agrawal. Raffle Prizes were sponsored by India Sweet & Spice, Moksha Restaurant, Banka Singh, & Vinod Manchhani. Audiences were seen appreciating organizing committee for displaying professionalism and putting up such a magnificent show in a wonderful manner. IALA is a nonprofit organization committed to facilitate India Independence Day and Republic Day events to cater the members of Indian community from San Fernando Valley. It started India Independence Day celebration in the San Fernando Valley on a grand scale in year 2000 and since then this tradition has continued and kept by the dedicated volunteers of IALA.